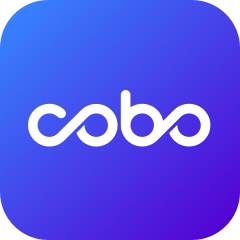 Cobo is a professional asset management wallet dedicated to popularizing the right digital asset wallet usage. Investment in digital assets can not only have asset gains in price fluctuations, but also gain in some digital asset holdings. Those digital assets are provided this reward mechanism because of the particularity of management mechanism or consensus mechanism. This kind of gains is that your digital assets numbers has increased not the price's change, so it is the interests without risk or dividend. If you want to hold a digital asset, we strongly recommend to store non-liquidity assets into the earning wallet to gain stable dividend. Cobo launches Finance products----PoS Pooling & Bitgrow, Click "myFinance" on the right top corner to check your Finance asset, accumulated earnings and trade history etc. PoS is the the proof of stake, Cobo can provide stable revenue by intelligence voting, DPoS voting pool and PoS mining. Click on the right top corner to select "Auto-transfer" and enter amount, it is easy to operate! Bitgrow Fixed Term Plan: The team behind it comes from first-line hedge funds such as Goldman Sachs and Merrill Lynch. The sound control and forecasting system ensures the stability of the quantitative strategy. Apply for a VIP can enjoy VIP exclusive higher large investment amount and annualized revenue.